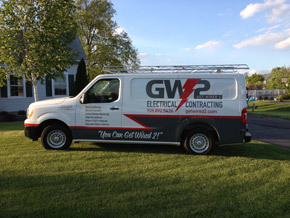 Serving Hunterdon, Warren and Morris counties since 2005, Get Wired 2 is a family owned and operated electrical contractor. 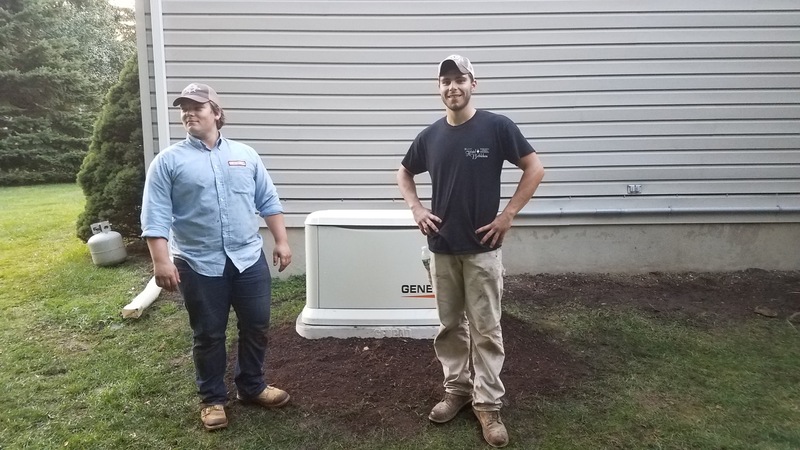 With services ranging from electrical maintenance to generator installation, we are confident in our ability to handle all your electrical needs. You can Get Wired 2! With over 30 years of experience in the electrical industry, Frank Fontana is the owner of Get Wired 2. 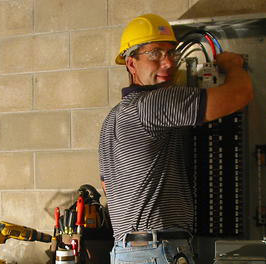 With extensive knowledge and experience in all aspects of electrical contracting Frank will help with any electrical problems you may face... including: wiring, lighting, generator installations and service. 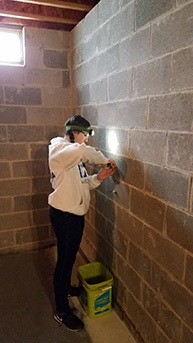 You can rest assured that our company is licensed in New Jersey and all our work is insured. Get Wired 2 employees doing what they do best! HI, I'm Frank Fontana and I have lived in Jersey for 52 years. I grew up in Flanders when it was "Country" and dirt bikes were allowed. I went to Mt. Olive High School and some College. I served as United States Marine from Platoon 2042, Parris Island. I married my high school sweetheart Marlene and we have three wonderful children named Matt, Kevin and Sarah. I still love fishing as I did in my youth along River Road, In 1996 my family moved to Hackettstown. Somewhere around the time when I got married, I decided I really liked electrical work. I did an apprenticeship and in December of '89 I earned a Master Electrician license in NJ. I opened Fontana Electric and ran that for 10 years installing residential wiring. I was offered a position with Local 102 IBEW as foreman to oversee large commercial installations for about 10 years. Get Wired 2 is the newest chapter in my career. This business allows me to help others, care of my family, and make new friends along the way. © 2019 Get Wired 2 – GW2. All Rights Reserved.